Choosing to cut the sugar out of your diet can be difficult. North of 70% of the products on our supermarket shelves contain added sugar so it’s difficult to get away from. 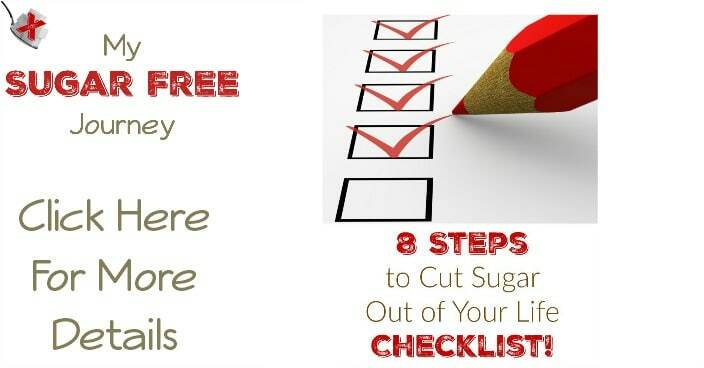 In order to help those that want to start their own Sugar Free Journey, here’s a helpful checklist that will get you started. 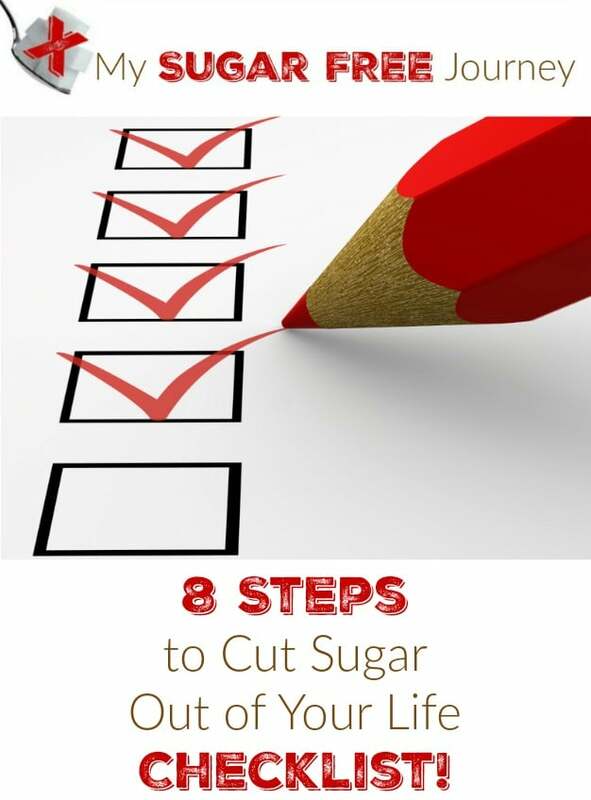 You can download and print the 8 Steps to Cut Sugar Out of Your Life Checklist by clicking here! Get Your Family Involved – All big life changes go easier with the love and support of those closest to us. 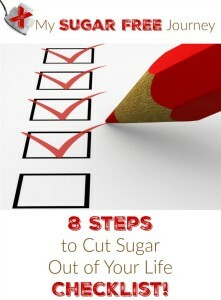 Let them know what you are doing and why and see if they will join you on your quest to cut the sugar out of your diet. The more people involved, the more likely you will meet your goals. Do a Cleanse – I don’t mean one of those detoxes that don’t seem to work, I mean clean out your pantries. Use this guide to throw out anything with sugar in it. When those late night sugar cravings hit, it will be a lot easier to opt for celery and some almond butter when there’s no Nutella sitting on the back of the shelf. Read Food Labels – Once you throw out the sugar, don’t bring any new sugar in. Opt for unsweetened varieties of products or better yet, buy products without nutrition labels like fresh meat, produce and other whole foods. Stay Hydrated – When you remove sugary drinks from your diet, replace that fluid with water. Staying properly hydrated will satiate your feelings of hunger, calm your sugar cravings, and give you energy. Eat Fat and Protein with Every Meal – Fat and Protein will keep you feeling full a lot longer, especially when you eat them for breakfast. Always opt for the bacon and eggs over the toast and waffles. Get Plenty of Rest – If you are tired, your natural inclination will be grab some sugar for a quick pick-me-up. Get the rest your body needs and you won’t struggle with as many cravings. Exercise – Your body is meant to be moved. Give your muscles something to do by going for a walk or having a regular exercise routine. The important thing isn’t so much what you do but rather that you do something every day. 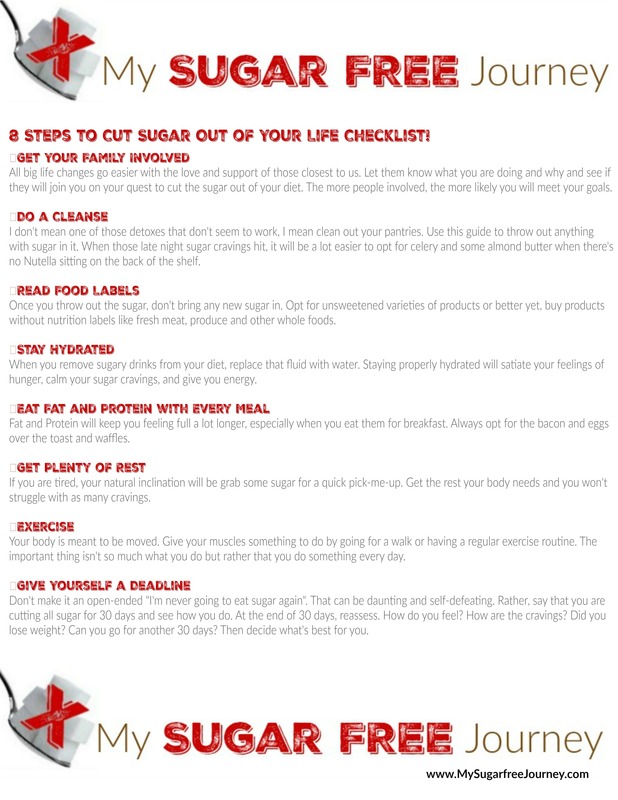 Give Yourself a Deadline – Don’t make it an open-ended “I’m never going to eat sugar again”. That can be daunting and self-defeating. Rather, say that you are cutting all sugar for 30 days and see how you do. At the end of 30 days, reassess. How do you feel? How are the cravings? Did you lose weight? Can you go for another 30 days? Then decide what’s best for you. PREVIOUS POST Previous post: My Sugar Free Meal Plan for Jan 14th – Jan 20th! NEXT POST Next post: Sugar Free Fire Roasted Salsa Recipe! I have been trying to do this for 30 days, but have slipped up a few times. Thanks for the extra tips and motivation to keep trying! My husband and I started cutting a lot of sugar out of our diet last year and it’s made a huge difference. Thanks for the extra tips. 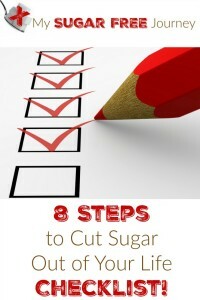 My husband and I are cutting out sugar and feel great. However, once every few weeks we start to crave sugar so we indulge for one night then strictly go without as before. It helps knowing if you can’t stand no sugar at all, once in a while doesn’t hurt anything to cheat a little..
It’s funny you said this today because I’m doing research on different people’s response to sugar. Some people are “Moderators” and can eat a small amount of sugar every once in a while with no ill affects. Some (like me) are “abstainers” where even a small amount will trigger a huge backslide into sugar binging. I know for me personally, I can eat no donuts or all the donuts I can get me hands on. Just having one isn’t an option.